Well, there you go. 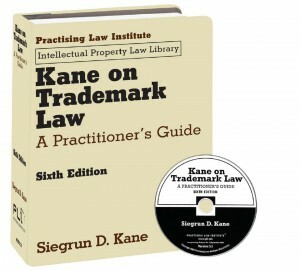 Bias number one: As far as I can tell, Siegrun Kane’s Kane on Trademark Law: A Practitioner’s Guide is the definitive comprehensive single volume on trademark practice. I have had my copy on hand at all times for over a decade. When I learned that it had been updated in May 2014, I was pretty excited. So I’m all biased up, because I’m predisposed to liking this work, having always done so, and because I got a free new review copy of the 6th Edition because Siegrun asked them to send it to me. But such bias is not, as we say in the trademark practitioner field, for nothing. You have to have this book. Well, you still need this book. Because it’s one volume, and it’s all in there. Perhaps it’s also in McCarthy’s treatise; but, frankly, who knows? McCarthy is massive, it’s expensive, it’s full of forms you probably don’t want or need; and it’s got rust all over it. Don’t get me wrong: McCarthy’s treatise an encyclopedia of trademark law, really; if you ever need to know gobs and gobs of cases standing for this, that or the other proposition under the Lanham Act, you will want to have access to McCarthy, which you can cite like a court case. It’s the black-letter dinosoropedia of trademark law. But if you want to have one volume right at your side that allows you to scope out, in succinct, snappy prose organized along the lines that make sense in evaluating your client’s claims or defenses, this is the one. The book does more than hit every area of trademark practice square on the nose, making it a must especially for general litigators working in an area that is — really — more complex than they make think. Kane on Trademark Law addresses virtually every practical aspect of trademark evaluation, protection, enforcement and litigation at a level of detail and rigor that only someone with the author’s level of experience could muster. This includes negotiation and settlement of disputes, fundamentals of trademark licensing and transactions, and, of course, PTO practice — concisely and clearly. And there’s plenty of backup. I particularly appreciated the full color examples in the appendices, of which there are many. The indices are arranged by statute, by case name and by topic. There are a lot of cases cited in this one work. I also am looking forward to hunkering down with the chapter on false advertising, which, among all topics in trademark law, I have found to be among the least intuitive or amenable to reasoning by analogy. So with all that beef and all my biases, any hesitation? Not in terms of recommending that you buy it, no. I do think more could have been said about the parlous state of the doctrine of initial interest confusion in this day and age; on the other hand, I would hardly say the author oversells it. Considering how popular the doctrine was in the trademark plaintiffs’ bar for over a decade, however, it probably deserves more treatment. Undoubtedly this book is written from the perspective of a trademark plaintiff’s lawyer, and while there is an entire chapter on defenses to infringement — well, that’s the point. There’s one chapter on defenses to trademark infringement claim, but considering the depth of most of the topics treated, little attention to what, in my view, is the fundamental issue in trademark defense today, especially concerning claims based on alleged Internet-based infringement: Whether the defendant’s “use” is actually a legally-cognizable trademark use. So yes, there is an entry for “gripe sites” — a topic near and dear to my heart — in the index; but the most recent case cited is from 2007 — well before the flowering of the present-day gripe site phenomenon that gives such fits to brand managers. Unsurprisingly, this is not the book for defense counsel to turn to for advice concerning the now-standard abuse of trademark law as a method for silencing criticism, whether on notorious gripe sites such as Ripoff Report or neutral of third-party review sites such as Yelp! 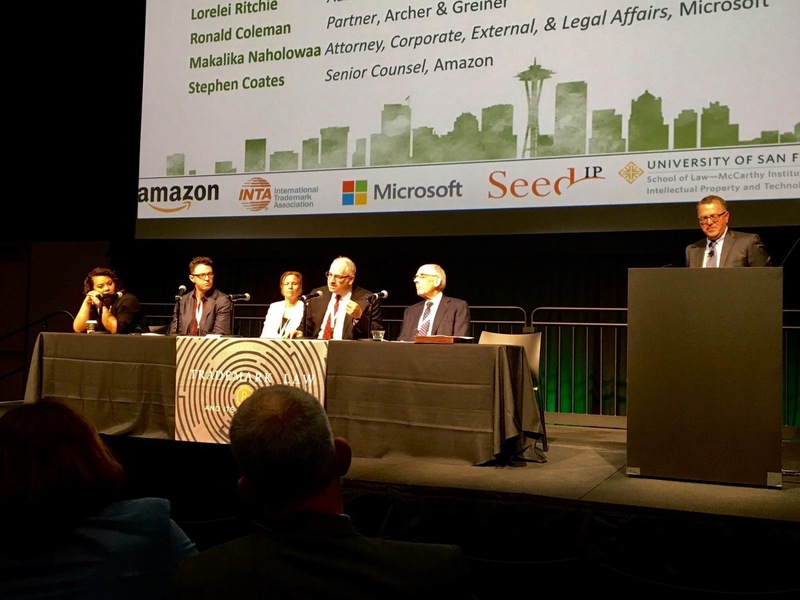 There is, as I said, a chapter on trademark infringement defenses; but, depending on how you count them, there are five or six or seven on offense. Similarly, while there are a lot of cases cited, I had no trouble thinking of a few important ones I would have expected to see discussed that weren’t. There is also not much treatment of secondary liability, or the related issues arising from network advertising or other third-party use of a mark, not strictly under the control of the website owner, but related to the context of the web page itself — increasingly in the context of lead generation methods and SEO manipulation, of both the black- and white-hat variety. Okay, I said I had biases! But the fact is, most of the people who know tons about trademark law have represented tons of trademarks, and they are the ones who write the treatises. Siegrun Kane is one of those people, and those seeking the bottom line across a broad spectrum of trademark law topics can and should depend on this work, as I have for years. Kane on Trademark Law is invaluable as a bible of black-letter learning, a fundamental resource to locate and come to terms with the most likely judicial take on any given issue. For the creative, experienced advocate, it offers a healthy dollop of seasoned judgment. Less experienced lawyers should spend a half an hour, an hour or maybe two paging through the relevant chapters of this book before they fire up a Westlaw search concerning a trademark topic, because you don’t learn the law by doing Boolean searches. You learn by learning, and Seigrun Kane is a mighty fine teacher.